Hello lovelies! I hope everyone has had a fantastic week. 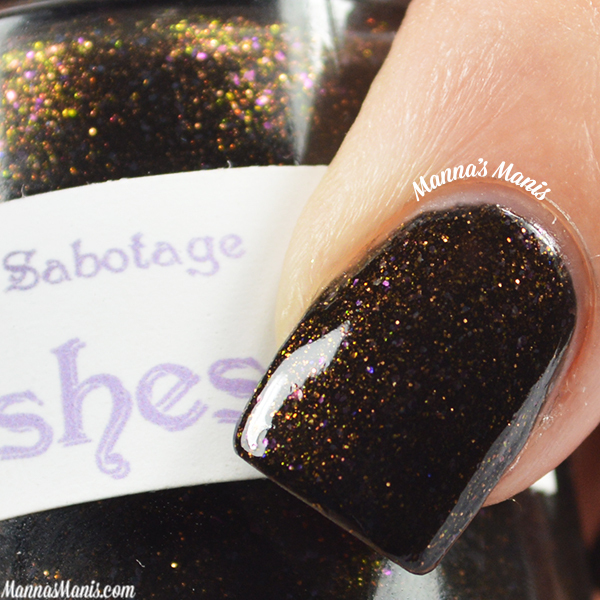 I have some lovely polishes from The Lady Varnishes to show you guys today! 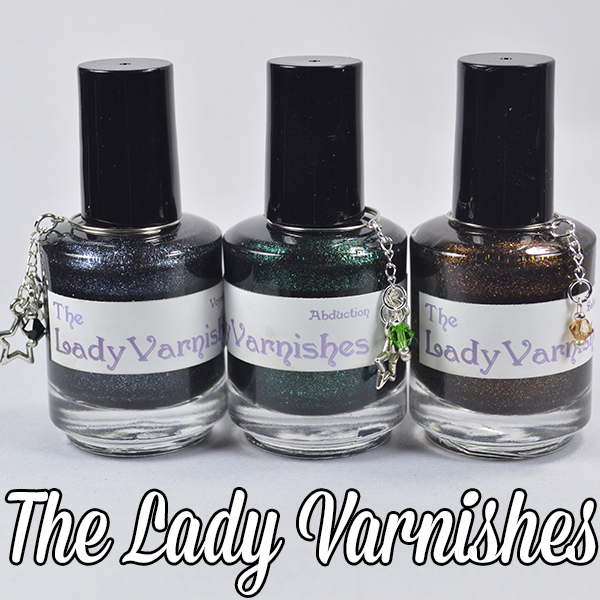 The Lady Varnishes is a 5 free and cruelty free brand that has collections inspired by books, movies, and tv shows. The 3 I have to show you today are all from their Master of Suspense collection, inspired by Alfred Hitchcock. Each bottle comes with unique charms and you have the option to scent them! 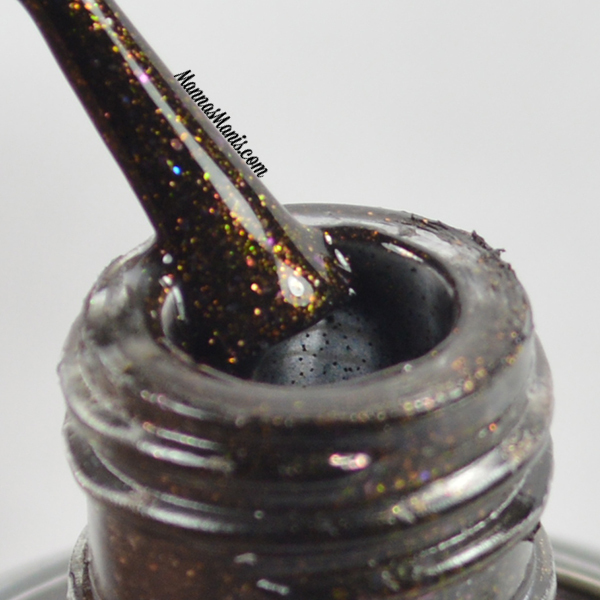 Sabotage is a microglitter with copper sparks in a black base. Formula was a bit thick, but it applied smoothly and clean up was easy. This is 2 coats. 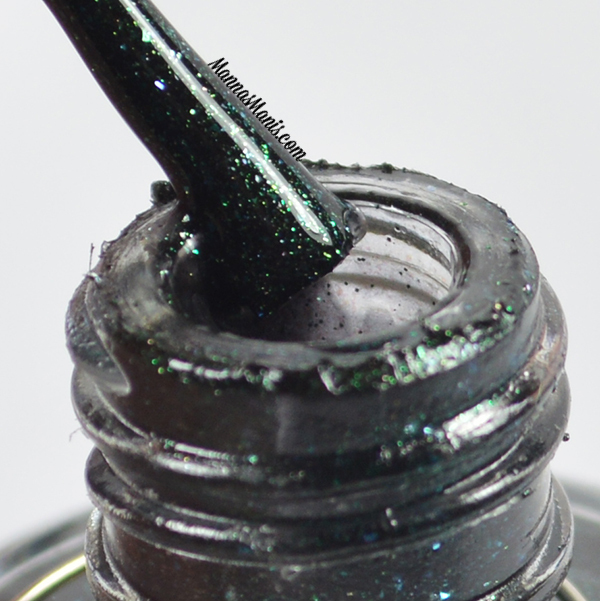 Abduction is a microglitter with green sparks in a black base. Formula was a bit thick, applied smoothly. This is 2 coats. 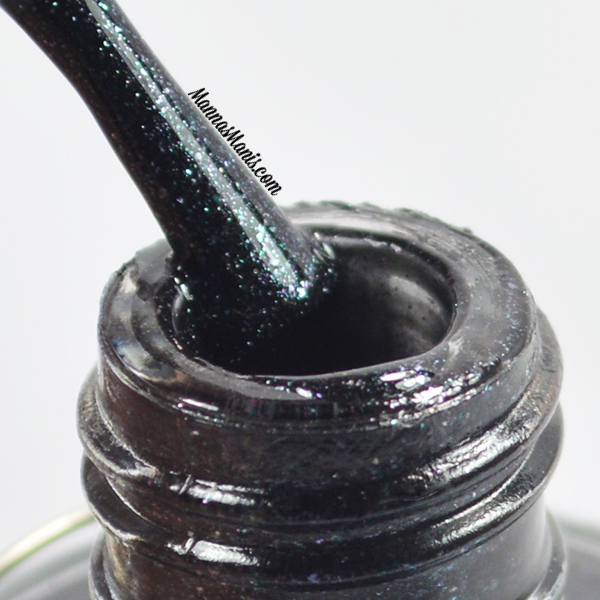 Voyeurism is a microglitter with silver sparks in a black base. Like the others, formula was thick but applied smoothly. This is 2 coats. Overall I really enjoyed these! They all applied like a dream. They are available for $9 a piece in The Lady Varnishes Etsy shop, links below. Are you a fan of movie/tv show/book themed nail polishes?